OMG! Tons of Yoga Pants $2.90 Ea SHIPPED! Pajama Pants Floral Print Drawstring Palazzo Lounge Pants Wide Leg,super comfy. 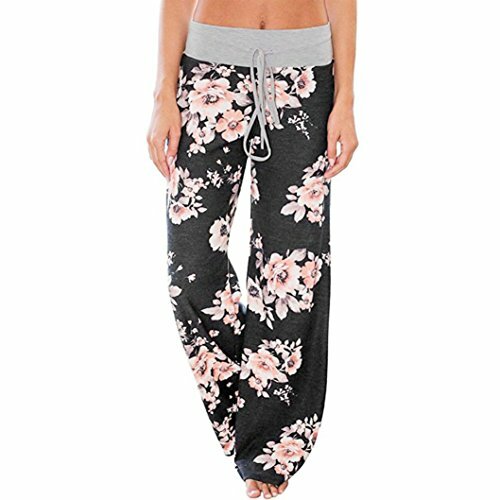 Pajama pants, lounge pants, casual pants, palazzo pants, yoga pants, wide leg pants with drawstring, floral print, comfy and stretchy Lounge pjs pants for a cute look. You can get a lot of use from it. Material: Polyester. Item Type: Yoga. Pant Style: Pants, Tights, Leggings. Length: Ankle-length Pant. Waist Type: High with Drawstring. Style: Casual. Pattern Type: 3D Cat Prints.